The 12th of August saw a hardy group brave the elements to make another step in the big task of the rehabilitation of Battery Hill. 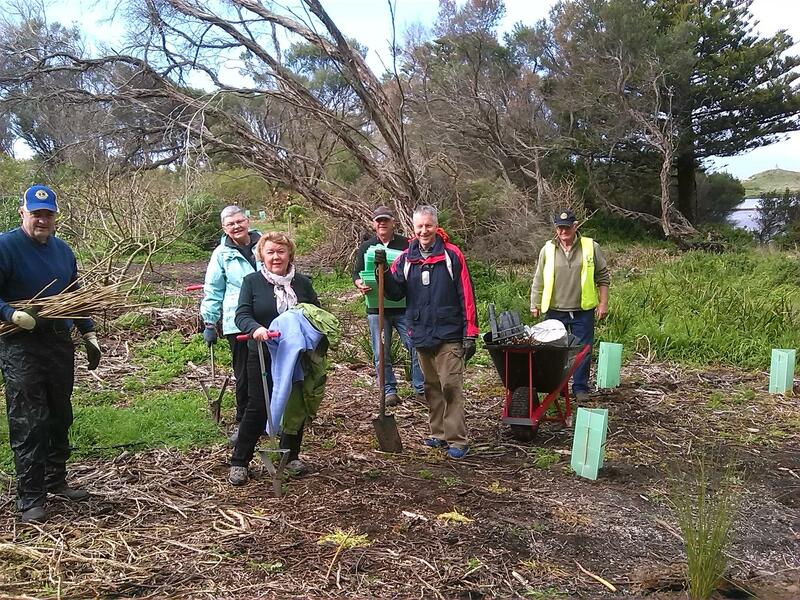 Port Fairy Rotarians, Friends of Rotary and Lions Club members got together for a morning of tree planting. Over 400 trees and shrubs were planted. The tree planting was part of the long-term effort to restore the native vegetation of Battery Hill through the removal of weeds and the revegetation with indigenous species.